There is a shared commitment to mining diamonds safely, securely, efficiently, and profitably, without harm to people or environment. All the mines have training, policies, procedures, analyses, and interactions that focus on making sure safety is part of everyone’s work activity – all the mining companies believe zero harm is achievable and all injuries are preventable. All mine sites have facilities staffed with trained medical teams. All have emergency response teams (ERTs) comprised of volunteers from their workforces. ERT members make up mine rescue teams which compete in the Workers’ Safety Compensation Commission annual mine rescue competition during NWT & Nunavut Chamber of Mines Mining Week. 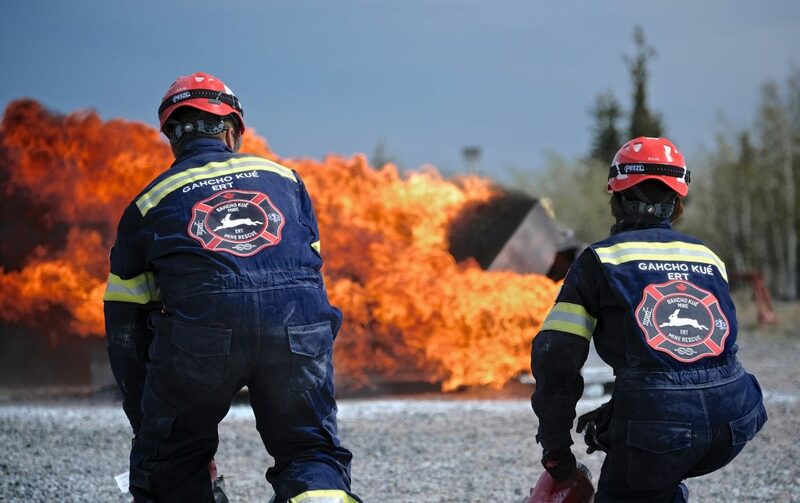 Often, NWT teams qualify for the National Western Region Mine Rescue Competition; a biennial event held in British Columbia, this is North America’s biggest mine rescue competition and teams have gone on to compete at the international level. The mines also have an ERT mutual aid agreement and are available to assist each other if ever needed.